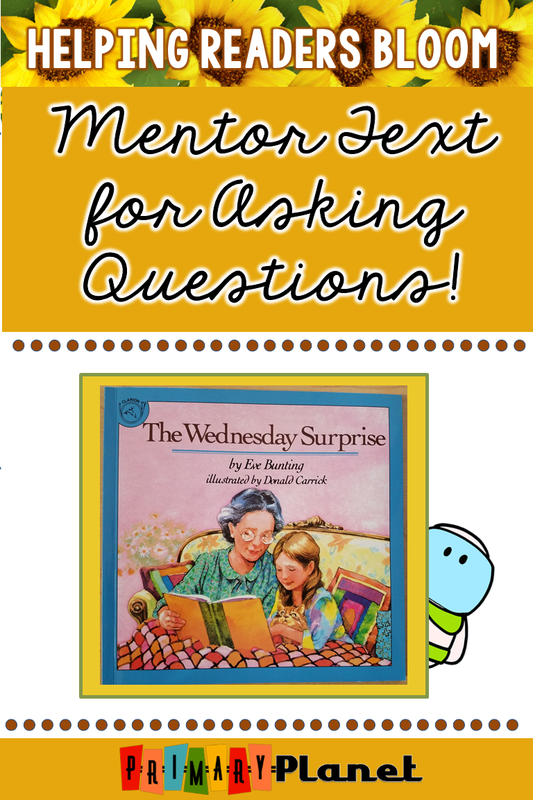 Springing Into Action: Asking Questions with The Wednesday Surprise | Primary Planet! Teaching my students to ask and answer questions while reading is one of my favorite units to teach! Why? Keep reading for a freebie and even more great reading ideas! I always introduce Asking Questions with a brown paper bag. I place something inside and let the kiddos ask questions. Then, we talk about which questions were the most helpful in trying to figure out what is in the bag. It is usually those "thick" questions that help us the most (go figure!)! Then, I start reading books. Have I mentioned how much I love books? One of my favorites is The Wednesday Surprise by Eve Bunting. 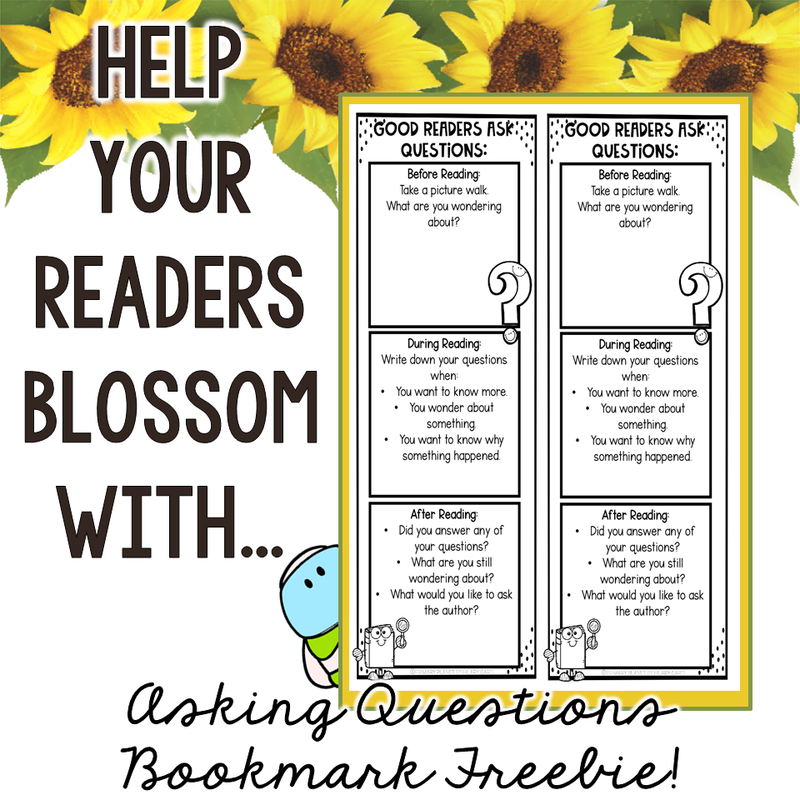 I give each of the kiddos a bookmark (freebie below) and three sticky notes. They stick their notes on the bookmark to ask questions before we read, while we read, and after we are done reading. Their first question is always, what is the surprise? Without giving too much away, it starts to become "obvious" what is going on in the middle of the book. Then, there is a surprise ending that always has them asking a ton of questions! We then organize and discuss our question, answer as many of them as we can with the book (which usually leads to AMAZING discussions), then talk about the questions that we can't answer with the book and where we might find the answers. Which then leads to Kiddle searches galore! 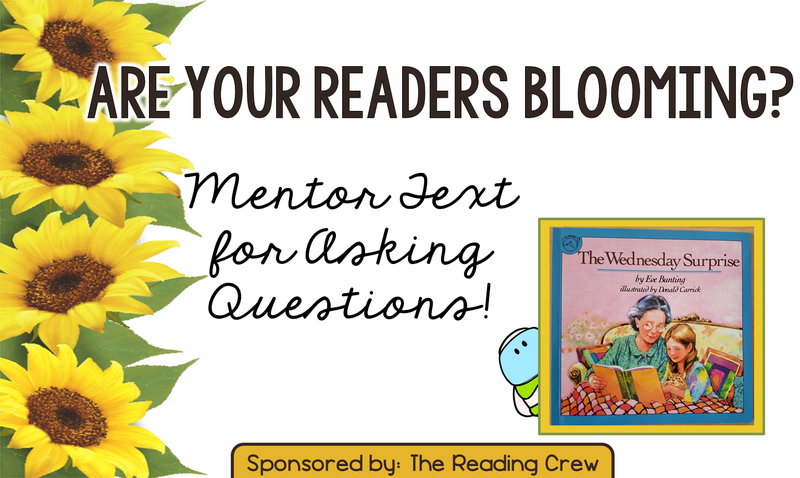 Find more great reading activities by some other amazing teacher bloggers! 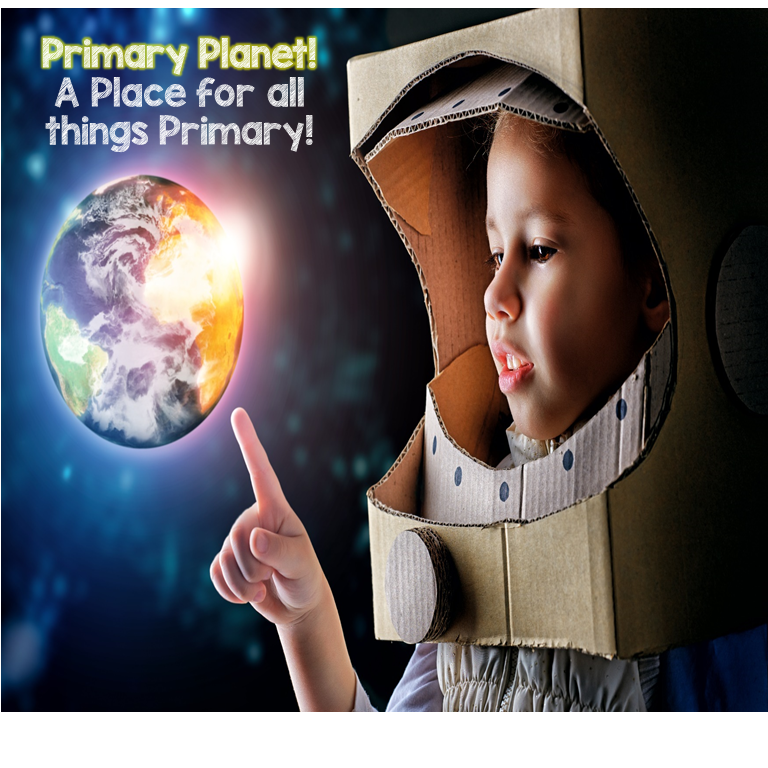 Never miss out on anything here at Primary Planet! 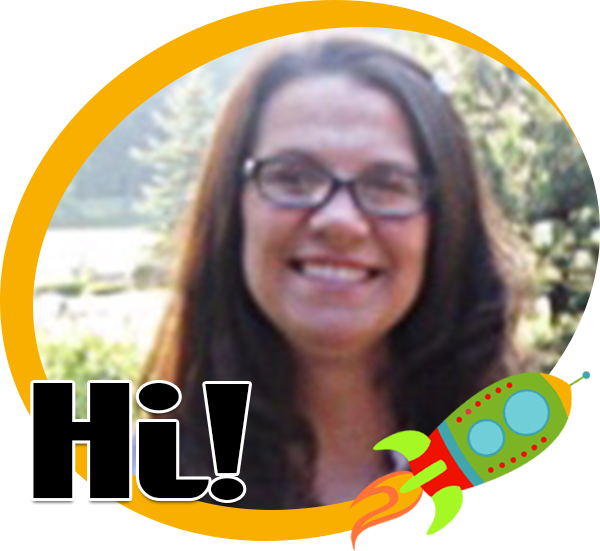 Join my newsletter and get fun teachery stuff and a TON of freebies! You also get an exclusive full-sized Pick a Prompt freebie (not available anywhere else) just for signing up! Pin the image below to share this great reading info with your friends! I LOVE the bookmark :) Thanks for sharing! You're welcome Julie! Thank so much for stopping by! The Wednesday Surprise is one my absolute favorites! Thank you so much for sharing! It is such a great book isn't it? So many questions! Thanks so much for stopping by Laura! Thank you for having me! It's been fun!